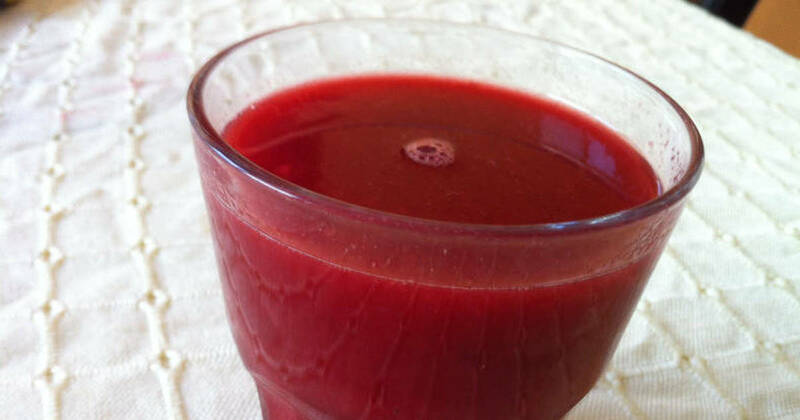 Drink This ONE Ingredient Juice in The Morning and Evening. Sleep 90 More Minutes a Night! 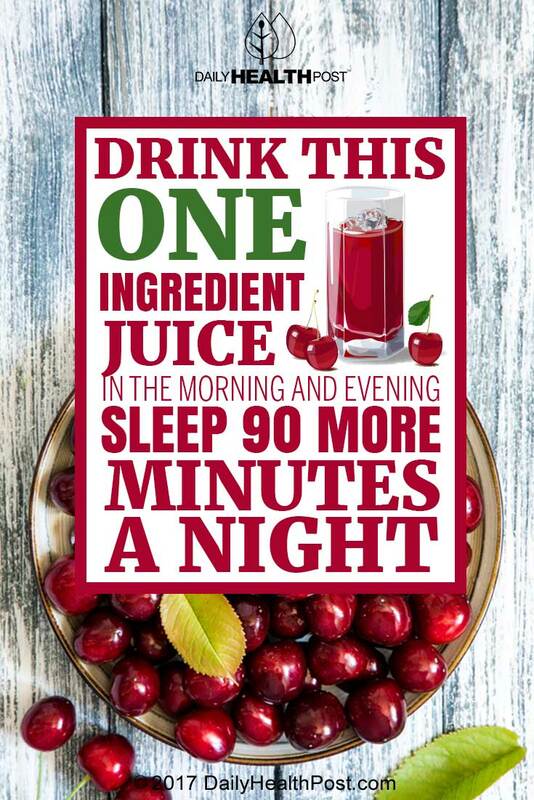 With an estimated one third of Americans over the age of 65 suffering from insomnia, researchers from Louisiana State University think they may have found the key to increasing the number of hours you sleep per night – tart cherry juice. The study they performed involved comparing the effects of tart cherry juice with a placebo, and by the end of the experiment the researchers discovered that the tart cherry juice increased the amount of time participants slept per night by almost 90 minutes, as compared to the placebo. Study coauthor Frank L. Greenway has some insight into how cherry juice can help you sleep longer. Montmorency cherries, used in tart cherry juice, are particularly good sources of the melatonin, a hormone that regulates the sleep-wake cycle, and amino acid tryptophan – an enzyme which enables tryptophan to work longer in your body by slowing it’s breakdown and reducing inflammation – which is found in the red pigment of the cherry’s skin. Although the study was funded by the Cherry Marketing Institute, the group had no say in the study methods or outcome of the study. Greenway says he considers cherry juice to be a safe and natural alternative to pharmaceuticals and over-the-counter sleep aids, especially given the dangerous side effects those options can have. Sleeping pills, for example, are often associated with an increased risk of dangerous falls, which for elderly consumers can be particularly dangerous. If cherry juice isn’t your preference, a recent Chinese study has discovered that kiwi fruit may have strikingly similar effects. Participants of the study who ate two kiwi fruits an hour before bed were able to increase their sleep time by 13%, and decrease mid-sleep waking periods by 29%, over a four-week period. Alternatively, seaweed – a natural source of omega-3 DHA – was also the subject of a recent University of Oxford study, which proved that children who consumed the ocean vegetable got a full extra hour of sleep per night. Consider these alternatives instead of over-the-counter melatonin tablets or prescription sleep aids the next time you have a restless night – they’re safer, more natural, and proven to be effective. Latest Headlines » Sleeping Disorders » Drink This ONE Ingredient Juice in The Morning and Evening. Sleep 90 More Minutes a Night!